After we had our breakfast, we let ourselves ready for a day of fun and adventure as we were heading to Mambukal Mountain Resort on our last day here in Bacolod. At 9:00 AM, we left the house and Tata’s Aunt was so kind enough to drop us off at the terminal going to Mambukal. 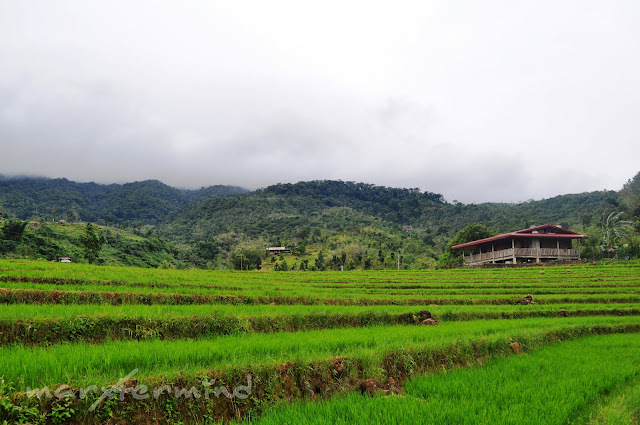 How to get to Mambukal Resort? 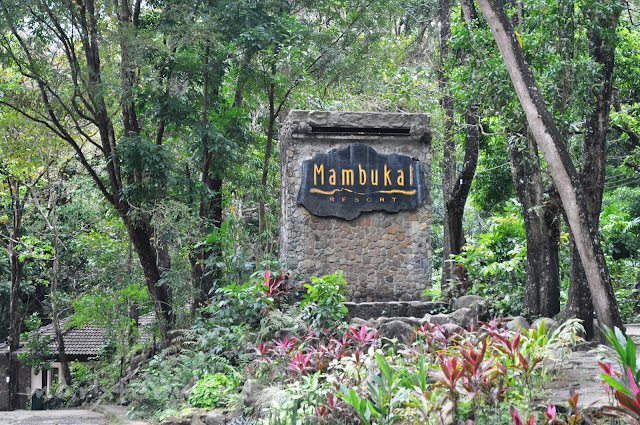 The resort is located at Murcia and became famous tourist destination since the 1970s due to Mambukal Resort. The resort is around 30 minutes by private vehicle and 45 minutes to an hour by public utility vehicle. From Libertad Terminal, take the mini-buses going to Murcia. Fare is around PHP 50. I didn’t know that Bacolod is a major port and processing center in a sugar-cane in Negros region until I saw hectares of sugar cane during our bus ride to Murcia. So that explains why Bacolod is famous for their sweet specialties. We arrived the resort around 10:30 AM. Entrance fee for adult is PHP 30.00 while for kid is PHP 10.00. Since we were feeling cold that day due to the weather, we wanted to take a dip into their dipping pool, but it wasn’t available that day (Monday is cleaning and maintenance day for dipping pool). 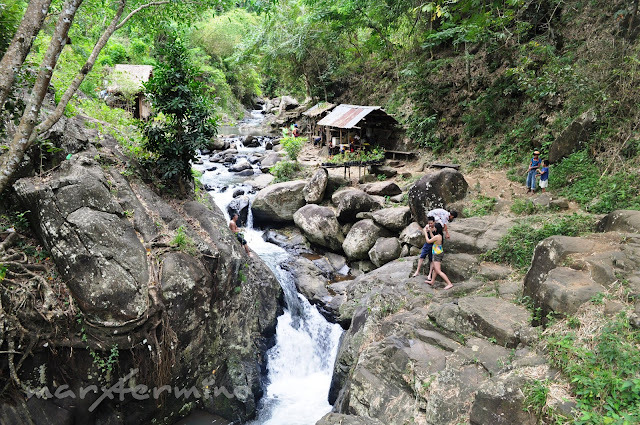 There are also swimming pool, boating, canopy walk, and zip line but we opted to have a hike to the 7 falls of the Mountain Resort. There’s no additional fee for the falls neither for the tour guide, but it’s our choice how much tip we wanted to give to the guide. 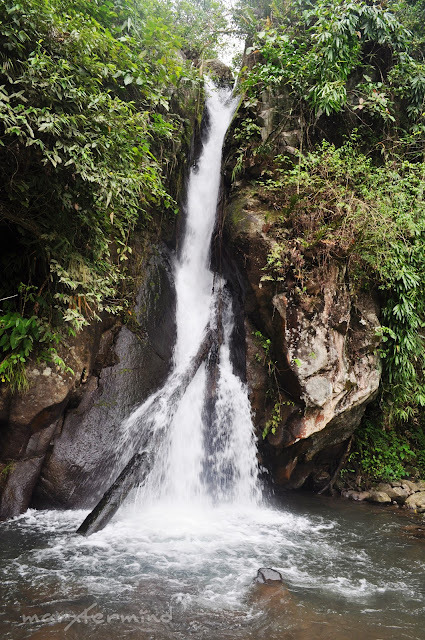 By the way, I actually didn’t know that there are falls in the Mambukal Mountain Resort since I haven’t read it from their site (or di lang ako masyado nagresearch). Upon hearing it, I thought the falls were just minutes away from each other, but I was wrong. The tour guide told us that there’s a short cut going to the 7th falls and it will take us an hour to get there, but we insisted to hike and see all the falls. We registered our names at the starting point and started the adventure. It was a way up to the falls, and there’s a hanging bridge on our way but it was closed that day. After 20 minutes or less, we reached the 1st falls. Upon reaching the first falls, we felt relief. Wow! We wanted to take a plunge but it was not advisable to swim there. So after taking some pictures, we resumed our hike. It was still a long way to go. It was another way up, and the guide told me that the mountain that we’re stepping into was already part of the Mount Kanla-on. And finally we reached the 2nd falls. Afterwards, we started to hike again. And here’s the 3rd falls, not advisable to swim here too. 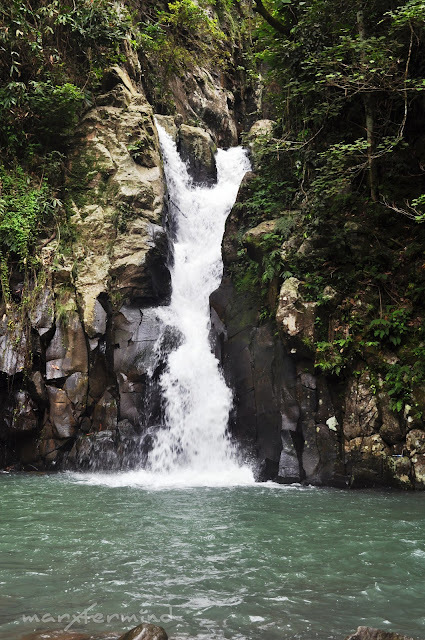 The 4th falls is not accessible at this time since there were rocks that fell from the mountain caused by the rain. So we headed straight to the 5th and 6th Falls. Another way up! And when we arrived at the 5th and 6th falls, wow! We can take a dip here already. You may leave your things on the huts available on the side of the stream if you wanted to take time and swim on the 5th and 6th falls. Since most people are in here, I’ve decided that I’ll just take a dip in the 7th falls. We didn’t waste our time, so after resting for a minute and taking some pictures, we headed to the 7th Falls. It was already 11:30 AM, and I was feeling bit tired and hungry, so I ask the guide if how many more minutes will it take us to the 7th Falls. So he told me it will take us 30 minutes to get there. Wow! 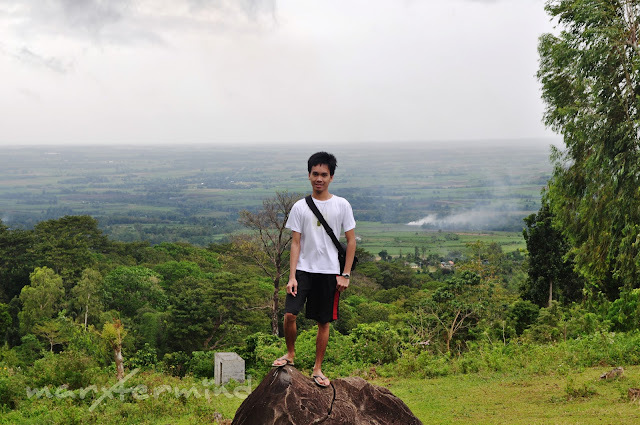 30 minutes hike pa! A kid accompanied us to our hike to the 7th falls. It was another way up, and the view from where we were is surreal. Ang ganda! I can see the landscape of the down town and it was astonishing. I was amazed that there are actual community in the mountains. People living on a simple means. We took a break first at the sari-sari store. After munching some junk food, we resumed our journey. The path is not that loaded anymore compared to what we had awhile ago but the grass blocking our way was bothering me. After the tiring hike that we did, finally we reached the 7th Falls. Me and my friend, Jessa took a dip. It was super cold. The long hike was worth it. It was already lunch time and we had no time to stay longer since we have a flight back to Manila to catch. So after awhile we headed back to the resort. This time, we walked into a different path back to the resort, it took us an hour to get back to the resort. We traveled the streams, the mountains, the fields and the woods just to get back to the resort. And here are some views that shouldn’t be missed during the hike. 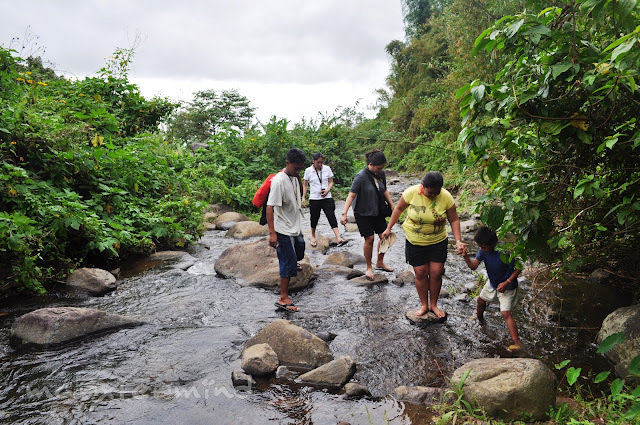 Crossing a stream or a river is always part of a hike to the mountains and/or to falls. Nothing is incomparable on the experiences and beautiful views during the journey. One says that it is good to have an end to journey toward; but it is the journey that matters, in the end. How amazing, isn’t it. This is one of the things I liked most during my trips. Great overlooking! A peaceful and beautiful view, indeed. After the long hike, finally we’re back in the resort! We gave our tour guide a tip. Mini buses were lined up outside the resort. We bought some chips and drinks at the sari-sari store to eat during the trip. We are supposed to have our lunch at Cafe Felicia in Bacolod, but we are already behind our schedule. It was already 2:30 PM, and my friends’ flight to Manila is at 6:00 PM. At sumabay pa talaga ang mini bus, the bus departed Mambukal Resort at 3:00 PM, at usad pagong. Mas mabilis pa ata pag maglakad ako! We were all pissed off because we had a flight to catch! Grrr… The driver even asked my friend what time is their flight was, then ganon pa sya mag drive. At 4:00 PM, saka lang tumakbo ang bus sa normal na takbo! Can you imagine it, we wasted 1 hour. We should have been in Bacolod by then. A failed bus ride! We arrived at Bacolod at 4:45 PM. As soon as we arrived at Bacolod, we took a cab going to our friends house and grabbed our things. Another amazing race going to the airport. Thanks Tata and family for letting us stay to your house! We’ll definitely come back soon! Since I had a different flight, which was at 9:00 PM, nagpaiwan muna ako sa Bacolod. Our last day is one of a hell of adventure and amazing race! Though we haven’t accomplished some on our itinerary, it was still a fun-filled day for us. And it also means that we need to come back in Bacolod. There are so many things yet to experience. Wow! 7 falls? Bilang na bilang sa daliri ko ang beses na nakakita ako niyan promise. Una yung sa sagada tapos, yung man made falls na wawa dam. Yun lang. Dami diba? haha! Parang magkakamuka lang yung iba no? 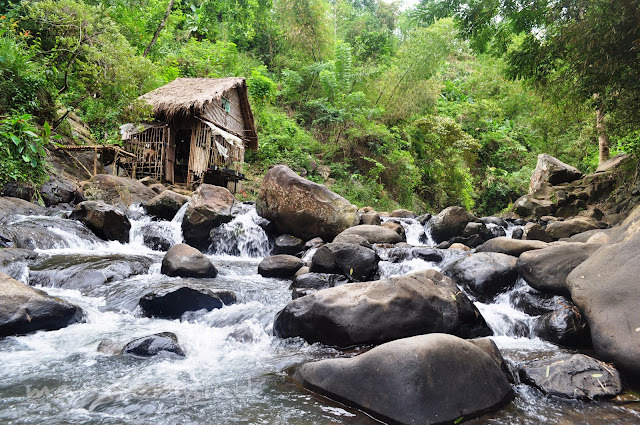 Binibitin ata kayo ng tour guide at kinailangan nyo pang makarating sa 7th falls bago makaligo hahaha! Uu malamig nga ang water. Chicken skin yung balat ko nung tumapak ako sa Bomod-Ok falls dati e.